Despite frequent and contradictory remarks by President Donald Trump, America’s top national security officials have continued to warn of ongoing foreign influence operations aimed at the 2018 and 2020 U.S. elections. Weeks ago, FBI Director Christopher Wray said that U.S. officials had been targeted using traditional tradecraft, and that the bureau had detected criminal efforts to suppress voting and provide illegal campaign contributions. 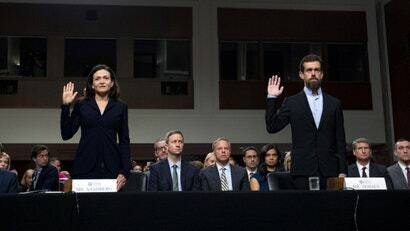 Twitter CEO Jack Dorsey, meanwhile, portrayed the matter as not just a threat to democracy, but as a threat to the overall health and security of his business, saying that above all else, Twitter’s goal is to serve a “global public conversation.” Dorsey also acknowledged a range of threats faced by his company, including widespread abuse, manipulation by foreign powers, and “malicious automation” (i.e., bots). “Any attempts to undermine the integrity of our service is antithetical to our fundamental rights,” he said, calling freedom of expression a “core tenant” upon which the Twitter is based. Google, which was also asked to appear before the committee, was chided by Democrats and Republicans alike for declining to send one of its top executives. Instead of offering to send CEO Sundar Pichai or Google co-founder Larry Page, the company offered Kent Walker, its senior vice president of global affairs, who published his would-be “testimony” on his blog on Tuesday. An empty chair was left at the table next to Sandberg and Dorsey to signify Google’s absence. 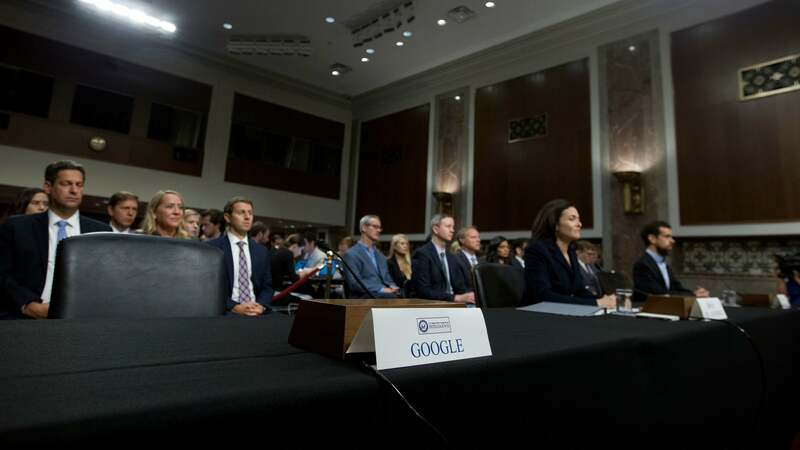 “Given its size and influence, I would have thought the leadership at Google would want to demonstrate how seriously it takes these challenges and to lead this important public discussion,” said Sen. Mark Warner, the committee’s vice chairman. Sen. Marco Rubio, Republican of Florida, likewise took shots at Google for skipping the hearing. “They’re not here today. Maybe its because they’re arrogant,” he said, also suggesting that Google may have avoided the hearing due to a report published by BuzzFeed News late Tuesday evening, outlining successful efforts by alleged Kremlin-linked trolls to purchase advertisements on the websites of several media brands, including CNN, HuffPost, and the Daily Beast. Recognising that technology often evolves too quickly for regulators to keep pace, Chairman Richad Burr said that recent arguments over whether social media companies should be considered “content publishers” were counterproductive. “I think that ambiguity has given rise to something of a convenient identity crisis, whereby judgments about what is and isn’t allowable on social media are too episodic, too reactive, and too unstructured,” he said. When asked by Sen. Susan Collins, Republican of Maine, what steps Twitter had taken to notify users that had been potentially duped by fake accounts imitating Americans—naming specifically the defunct Twitter account that masqueraded as the Tennessee Republican Party—Dorsey acknowledged that his company had dropped the ball in this area. Dorsey will also appear later today before the House Energy and Commerce Committee, where he’s expected to firmly refute claims by Republican lawmakers that Twitter has censored accounts expressing right-wing views. Additional reporting by Bryan Menegus, Rhett Jones.